They'll hope to put a rough June behind them when they face off Sunday in the finale of a four-game set between the Philadelphia Phillies and the Washington Nationals. The Phillies will try to win the series in the 1:35 p.m. matinee. Arrieta (5-6, 3.54 ERA) had a 6.66 ERA in five June starts. Opponents hit .305 with a .907 OPS against him in the month, and the veteran right-hander allowed at least three earned runs in each outing. "The ball is getting hit, that's it. 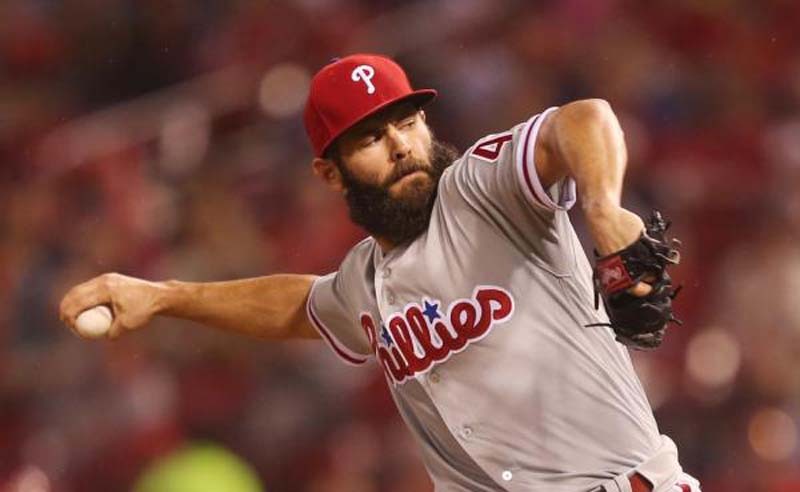 Making mistakes, too many mistakes," Arrieta told MLB.com after the start. "I was throwing quality breaking balls early in the count and then when I needed to go back to a similar spot or a little bit lower in the strike zone or out of the strike zone, I just put it too much in the zone and they hit it. It's a pretty simple explanation." "It wasn't my night. I couldn't get a strike," Gonzalez, who missed the strike zone with 33 of his 62 pitches, told reporters after the outing. "Sometimes it happens. It's part of the game." Gonzalez will be facing the Phillies for the 25th time in his 11-year big league career. He is 11-7 with a 2.60 ERA and 1.13 WHIP against the Nationals' divisional rival. Gonzalez threw five scoreless innings against Philadelphia on May 4. The Phillies hope Odubel Herrera's bat heats up. The center fielder homered in Saturday's 3-2 victory after going 2-for-28 in his previous seven games. Herrera is hitting .286 on the season with 14 homers and 46 RBIs.